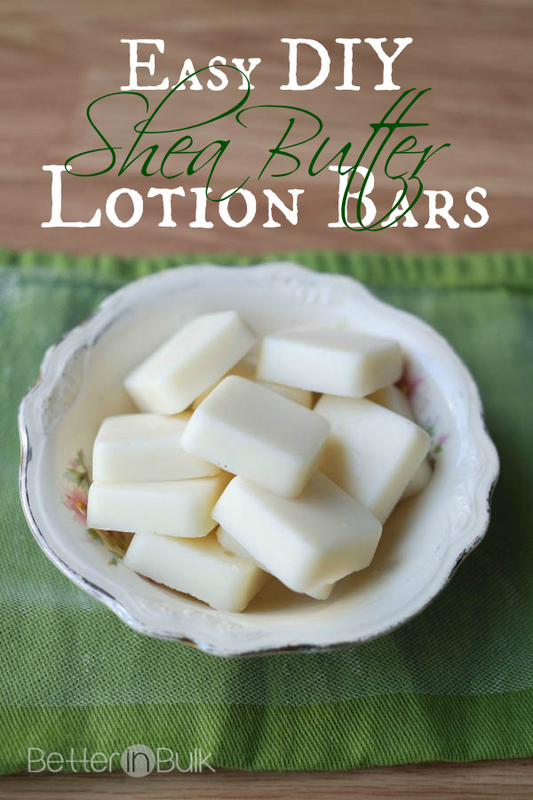 Curious how you can make your own shea butter lotion bars? I’ve become totally hooked on these DIY lotion bars, and I KNOW you will, too! Mother’s Day is coming up soon…and so is graduation and Father’s Day and a ton of family birthdays. And a family wedding. In other words, I have entered the season of gifts. I pride myself in being able to find the perfect gifts for my family members (the ones that live with me) but I am notoriously bad about getting gifts for people who I don’t see every day. In the last few months, I have started making a few beauty products for myself and recognized immediately that the lotions and soaps and scrubs that I was making would be perfect to give as gifts. Please note: I’ve included affiliate links within this post to recommend some of my favorite products that I use regularly when I make homemade lotion bars and other beauty products. You don’t pay anything extra, but I can make a small commission on the sales. Since I’ve started using my own natural, homemade lotions, scrubs and soaps, I can’t imagine using anything else. I have come to completely rely on them for my daily moisturizing. Not only are these so easy to make, but I feel great using products on my skin that I can both pronounce and feel comfortable using. 100%. And with the addition of some of my favorite essential oils, they smell amazing, too. 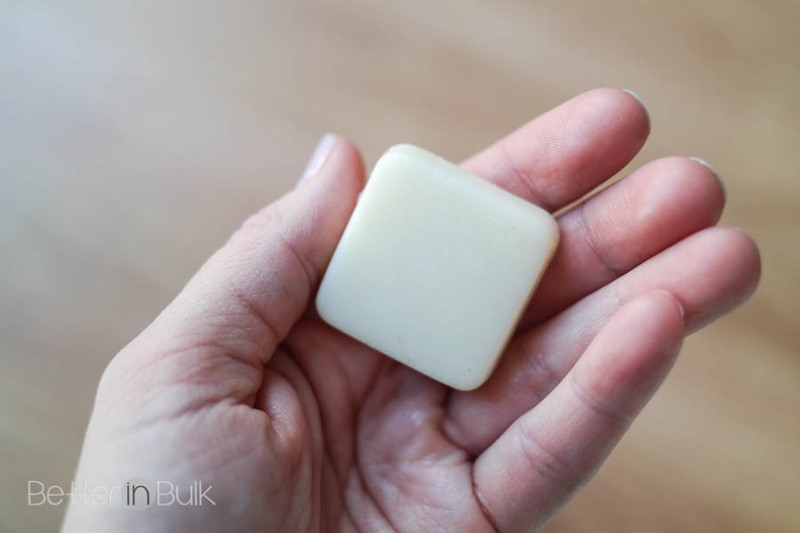 These little lotion bars are extremely easy to make, and based on the ingredients that I purchased (not including the optional essential oils or the mold), each 1.5 x 1.5 inch lotion bar costs about 31 cents. Here are the ingredients I used (I purchased almost everything except for the oils on Amazon so I didn’t have to shop around). Note: I have a huge collection of essential oils so I just made a few variations with some of my favorite scents. If you don’t have essential oils on hand, you can definitely make these lotion bars without them, but I do highly recommend scenting your lotion to your “taste”! I am partial to the cinnamon (combined with the shea butter and coconut oil, the lotion bars have a pleasant cinnamon bun scent) and the peppermint/eucalyptus combo (which is a very refreshing/invigorating scent). But use (or don’t use!) 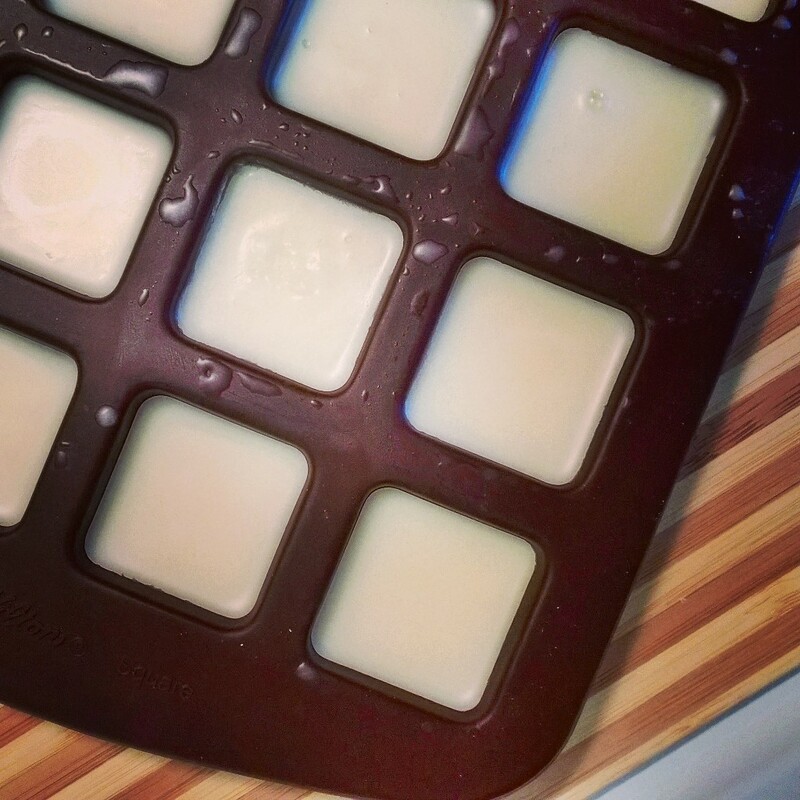 your favorites and make these lotion bars your own. 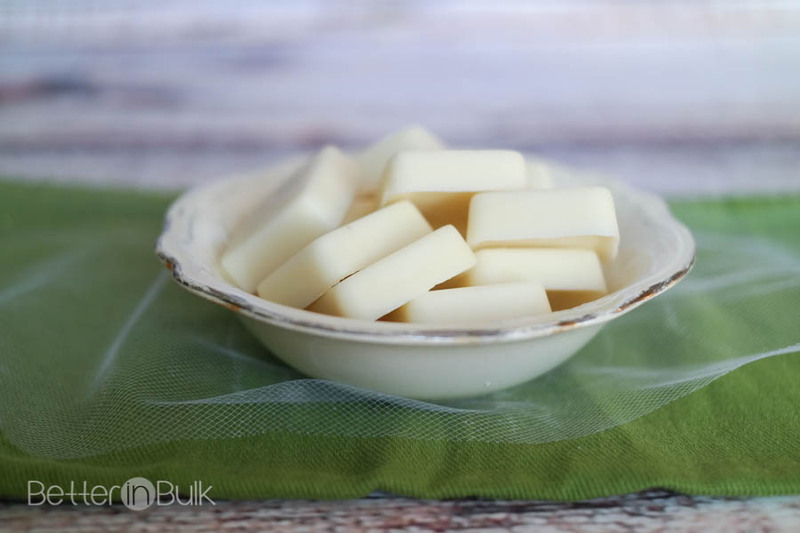 Ready to learn how you can make these DIY lotion bars with shea butter?? © 2015 – 2018, Food Fun Family. All rights reserved. This looks really easy to make! I’ve never thought of making this myself before. I’ll have to give it a try! Best recipe for lotion bars! Wondering how to make this also into a lotion? Would using less beeswax work so that it would not setup into as hard of a bar? Would like to use the same ing. Thank you! Thank you! I love this!! I am making lotion bars for my sister for Christmas in a luxury Himalayan salt spa set this year with spa salts, exfoliating “pink salt” soap, and then lotion bars but have never made lotion bars before. I looked at a ton of recipes and found a great one. They seemed pretty easy. I had never tried raw shea butter before- ljke EVER. I ordered it and stuck all the ingredients away for when I start doing test batches but my forehead esp has been SO dry it’s embarrassing plus I have some psoriasis along my hairline and just couldn’t take the flakes any more so last night I grabbed that pound of shea butter & a spoon (I’m like you- can’t do fingers in a jar, any jar for that matter, it’s just yucky lol!) And it was only like a dime size but J melted it between my fingers and WOW it is AMAZING!! It covered more than just my forehead and no joke the flakes were GONE!!! I was like just shocked , I put a bit on again this morning & like 12 hours later could still feel the moisture. This recipe will,be perfect bc it was amazing but it still needed a little something plus scent obviously. I feel like most of these DIY bars you could use all over but it was great to find one face specific! I was looking for a mold all,over JUST like the one you have too. So I’m definitely getting it ASAP! THANKS a ton for sharing. Also I’m still a tiny confused bc they seem the same just personal preference really…do you ever like cocoa butter ovrr shea? Or use it for certain recipes? Also in this recipe does the beeswax kind of just act like a binder, holding all the ingredients together? Sorry, this will be my first time working with shea & beeswax! I can’t wait!!! Thanks again. I think my “trial batch” will,be these.. for me lol. Oops got this confused with a facial bar. Oh, yes, for sure! They’re all natural ingredients, so I imagine it would be fine for the face, too! I use both cocoa butter and shea butter. No big preference on my part. I like them both and think that they can be used pretty interchangeably. I made these today and they. Are way too greasy. I followed the exact recipe. Did anyone else have a different experience? I’m sorry that the bars didn’t work out for you! Mine are quite dry/hard so I’m not sure why yours would have turned out so greasy, but differences in ingredients and climate can change the outcome quite a bit in cooking – I’m sure the same is true for things like this. Did you use a different type of coconut oil possibly? It can make a major difference. I love Shea Butter products but I have never tried to make anything like this. Looks very easy! Thanks for the recipe! I love lotions bars, so handy, can’t wait to make these! Thank you for sharing this recipe!! I would love to make my own lotion bars to give as gifts! I would also be keeping some of these for myself, too;) Great recipe! Thank you for sharing this recipe. 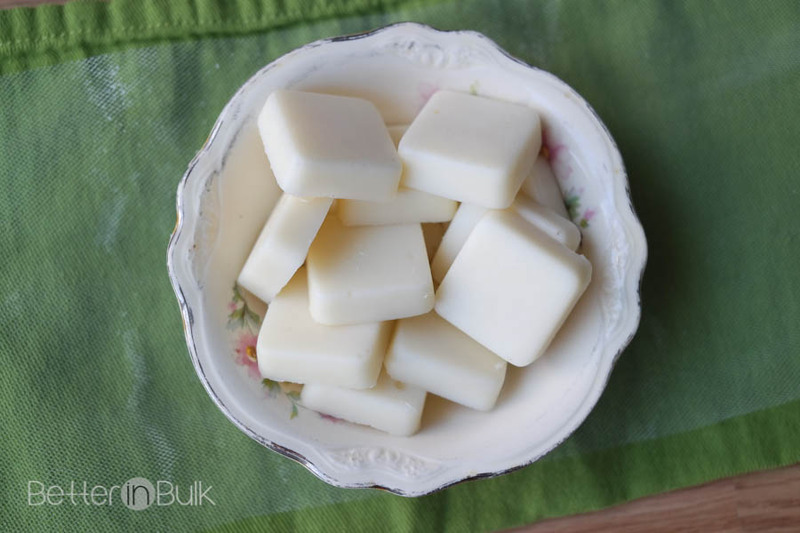 I would love to make these lotion bars- what can I substitute beeswax with? I prefer to use vegan ingredients. Thank you. Has everyone used cocoa butter instead of Shea butter? You should be able to substitute cocoa butter for the shea butter just fine! I’ve used cocoa butter for similar recipes before! How much of each ingredient do you need to make the recipe? Make sure you click “next” to get the recipe. All the ingredients and detailed steps are there. Thanks for stopping by! Thank you for sharing this recipe. My hands are always dry, so I’d like to keep these bars handy all around my home. Hi! I’m so excited to make these! I had a question though…. Instead of using coconut oil could I use almond oil? I just had some on hand and was wondering… Thank you!! These are really nifty and I think that I would like to try these, I was wondering, have you any ideas to store these or to carry them in your purse? I have some Altoids tins that might work. I would love to have you stop by to linkup on FF Linkup this week on Oh my Heartsie Girl!! I love Shea Butter but haven’t tried anything like this. I actually have everything on hand but the mold so I will be making these very soon. These look really great, and I love knowing that they helped your lips. My lips are always getting chapped and although I know it’s not the same thing, I’m still hoping that this will work for my lips. Best part is I have everything except the Shea Butter, so I will definitely be making some of these very soon. I really hope it works on your lips! I was so grateful to find something that worked! This looks great and easy! I want to try it!! Not only does this sound like it would be amazing, they look super cute, too! Will have to make some! I can’t believe how easy these are to make. And I bet they smell great in the chocolate flavor! I need to try this. I bet it would be super moisturizing and after the long winter we had, we need this! I LOVE this idea for lip balm! Have you tried putting them in lip gloss jars with lids instead of the mold and letting solidify in there? Yes, that works great too! I’ve actually put them in old Altoids tins (the small ones), too. Since they’re more solid, they work perfectly in little containers.